Adam – Decorex 2009. – Drillworks. 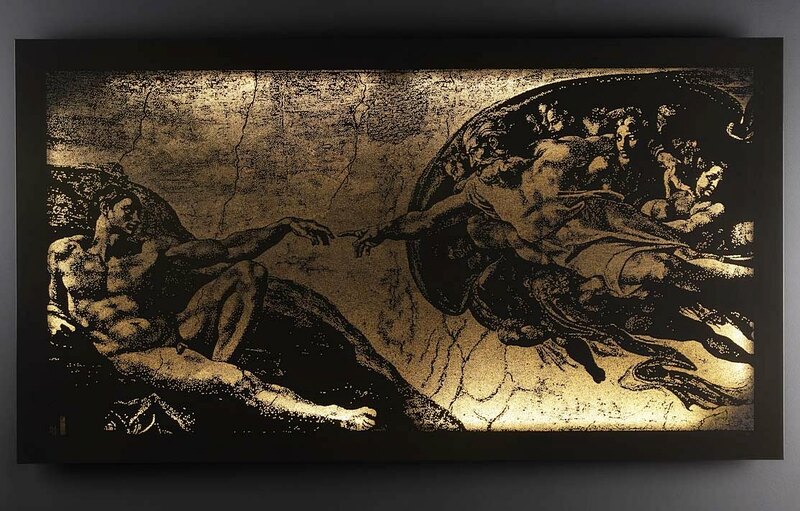 A rendition of the Michelangelo mural drilled in fine detail approximately 2m x 1m in dimension. The work was a meticulous effort completely drilled using a 1.5mm drill. The piece was commissioned for the Decorex International show in Chelsea in 2009. Now in a private collection.